Easily select your parts, look up datasheets and a lot more with this iOS App. Start harvesting your energy and get this amazing kit from Silicon Labs, Linear Technology and Würth Elektronik. Download the latest version of LTspice as well as the latest Würth Elektronik component library for LTspice. Würth Elektronik is a German-based company with an international network of ISO-certified production plants, subsidiaries throughout Asia, Europe and America with a strong technical sales force. Offering their customers solutions beyond the component, the company´s philosophy "more than you expect" is a commitment to support engineering. Questions, issues, in need for answers...ask Lorandt! Lorandt is Design Engineer at heart. Find out more about his tips and tricks around the topic electronic design here. Like the clip? Get more of it here. Würth Elektronik eiSos found the perfect Technology Partner in Audi ABT Sportsline. We consider clean energy, eMobility and sustainability as key elements for a green future. We speed up the future with our Technology Partnership with ABT Sportsline in the world’s first all-electric racing series. Discover the fascinating world of Formula E! 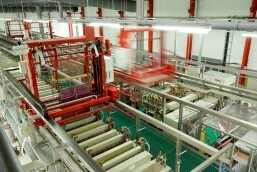 Top performance through greatest efficiency and innovative solutions. Würth Elektronik eiSos designs innovative component solutions for the electronics industry. Check it out here! Could you build the farm of tomorrow? SiliconLabs and Würth Elektronik asked to build a vertical indoor farm that is a true IoT solution, built on the smallest footprint possible with maximum energy efficiency. Check out the Vertical Farming solutions here. Texas Instruments, Cisco Systems and Würth Elektronik are partnering for the "In the Air" Design Challenge. We invited competitors from all over the world to propose their own solutions. Challengers used a core kit featuring several popular products: the element14 Beaglebone Black, Würth Elektronik power inductors and TI’s CC3200 LaunchPad and MSP430FR5969. The aim was to create innovative Internet-of-Things solutions to measure pollution and relay that information efficiently to enable smart and timely interventions. Würth Elektronik presents its Energy Harvesting Solution To Go Design Kit featuring peltier and solar energy source types plus additional connectors for optional external generators. Check out our webinar clip on Energy Harvesting Solutions: Intelligence and Efficiency. Visit Energy Harvesting Solutions for more information. See our Google Hangout on our Energy Harvesting Challenge Finale. Have questions about energy harvesting? Ask our expert here! Cut the Cord and get rid of the wire-bound chaos! 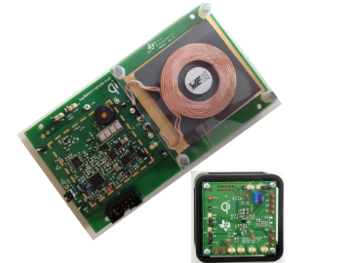 Farnell, Texas Instruments and Würth Elektronik are presenting the Qi-Standard, your way to your wireless power solution. Würth Elektronik´s WE-WPCC wireless charging series comes with low DCR, high quality litzwire and the highest Q value on the market. 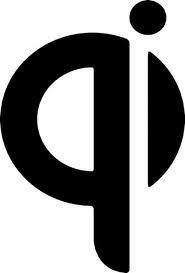 Google Hangout - "Beyond the Phone"
Visit Wireless Power Solution for more wireless charging technology. Have questions about wireless power charging? Ask our expert here! Simplify your Magnetic Searching with the design software "Würth Elektronik Component Selector" and choose your components of Würth Elektronik. A revised and expanded version of the Component Selector has now been released. Six new modules have been added to the four existing ones, making this selection tool one of the world's most comprehensive component databases to be provided by a single manufacturer. Use our (soundless) guide for an easy navigation. For more information on the Würth Elektronik Component Selector click here. Farnell element14 and Würth Elektronik want to support you the best and easiest way possible. With the design kits from Würth Elektronik you have all the components available for your passive solution. Make sure you equip yourself with these convenient boxes and never look for parts in the future anymore. The official Würth Elektronik element14 page with information, blogs and discussions within the electronics scene.